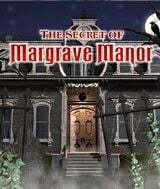 Download The Secret of Margrave Manor for free at FreeRide Games! 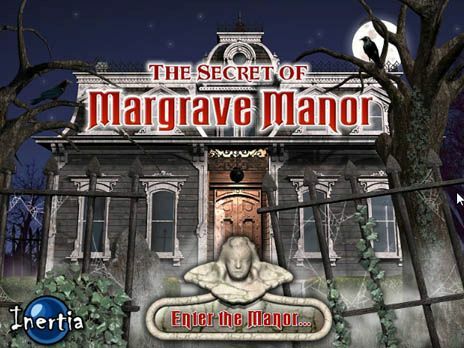 The Secret of Margrave Manor is a Hidden Object adventure game based on a juicy mystery. The game begins with Edwina Margrave receiving a strange letter from her Grandfather, Edwin. The letter is dated 10 years ago and contains a weird fragment of stone. Curious for some answers, Edwina decides to visit the somewhat spooky family manor. On arrival, she is greeted by her grandfather's butler, Gerard, but her grandfather is missing! Turns out that the stone fragment in Edwina's possession - known as the Margrave Rosetta Stone - is actually a piece of the family crest that may hold the key to locating her missing grandfather. Assuming the role of Edwina Margrave, you must use this piece as the starting point to search the messy and cluttered manor for many more pieces that will hopefully reveal clues to the location of the missing grandfather. As you progress through the game, besides locating lots of hidden objects, you'll also have to solve 'spot the difference' challenges and special puzzles. Can you uncover The Secret of Margrave Manor and discover your family's forgotten past? An eerie Hidden Object game. Addictive gameplay combined with rich storytelling. 3 game modes: Story; Freeplay; Item Collection. Items change positions each time you return to the rooms.